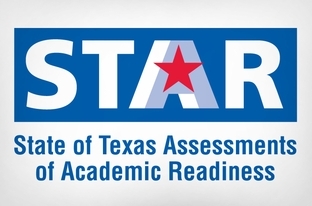 Texas’ standardized testing program wasn’t exactly popular before the 2015-2016 school year, but this year’s State of Texas Assessment of Academic Readiness (STAAR) has been an especially frustrating experience for Texas students, parents and school officials. New testing contractor Educational Testing Service, in the first year of a four-year, $280 million contract to administer the STAAR, has seemed overwhelmed by the task: It misdelivered tests, lost records of test answers, and took weeks longer than promised to deliver test scores. Meanwhile, new Education Commissioner Mike Morath and the Texas Education Agency (TEA) are under fire for how they’ve handled the STAAR so far, with critics saying they haven’t adequately recognized the magnitude of the problems schools faced — some of which, like missing student records and an unfinished website for teachers to access test data, were apparent even before the tests even arrived. It can be tough to keep track of all that’s gone wrong, so here’s a blow-by-blow of the biggest problems schools faced with STAAR this year. Click over and read the whole thing. I’d heard of some of these screwups, but not all of them. It’s impressive in its way. A lawsuit was filed last month to force the state to not use this year’s test results to rate students, something which TEA Commissioner Mike Morath is not willing to do so far. The Observer piece notes that Senate Education Chair Kel Seliger has said Texas shouldn’t pay ETS for its delivery of the STAAR test this year. Hard to argue with that, if you ask me. Anyway, it’s a mess and I’m sure we’ll be arguing about it next spring.